Small hatchbacks are probably not going away anytime soon. They provide a good amount of versatile cargo room, are economical, and fun to drive. So where does the 2018 Honda Fit Sport fit in? Engine – Under the hood of the Fit is a buzzy little 1.5L inline-4 that produces 130hp and 114 lb-ft of torque. In a car this small, the power is just right and it doesn’t need anymore or any less. However the peak power and torque figures are high up in the rev range which means that you constantly need to rev the engine to get going with some zest. The problem is that this engine doesn’t feel like it wants to rev like the old VTEC engines of the early 2000’s. It seems to be at its happiest when it’s below 2,500 rpms but there just isn’t enough power to make this little car fun to zip through traffic. But despite its lackluster characteristics, it’s a very efficient engine. 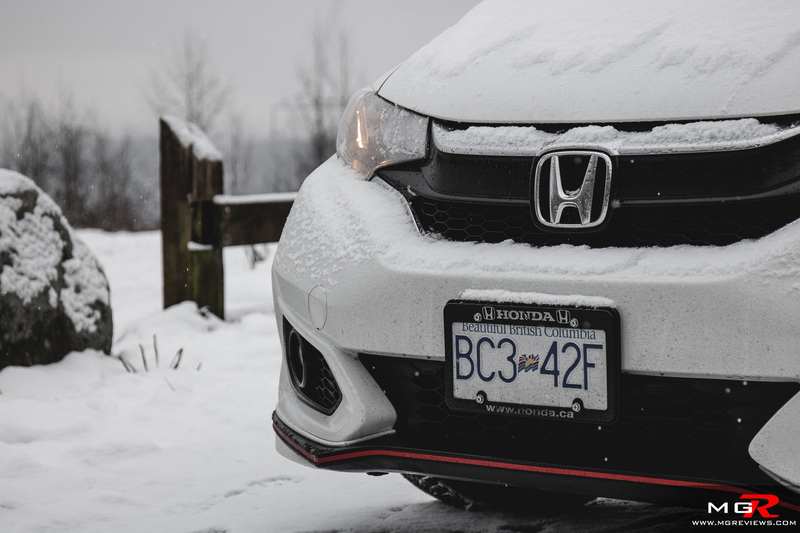 On my two week test drive with a heavy foot for most of the time, it still managed to return a combined fuel economy rating of 7.5 L/100km; exactly what Honda is claiming in their combined fuel economy tests. Transmission – This test car came with a 6-speed manual while a CVT automatic is an option. 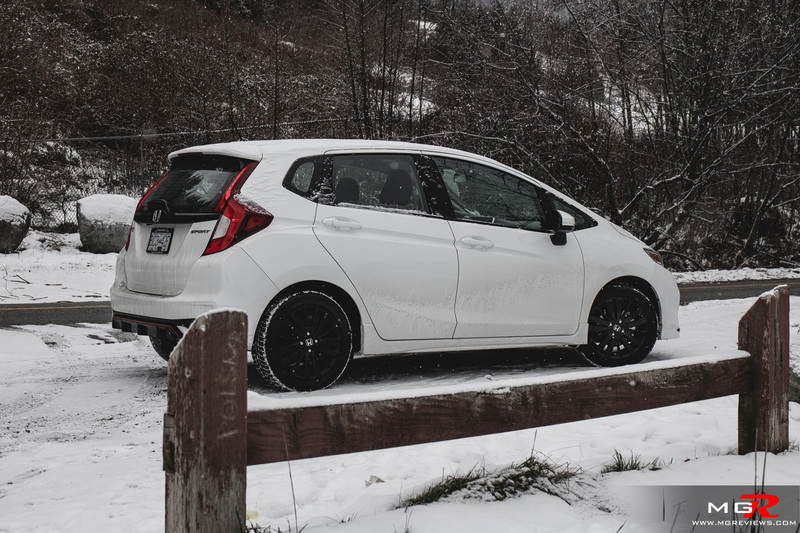 This 6-speed is not quite as slick shifting as the one in the Civic Si but it does add to the peppy nature of a small hot hatch like this Honda Fit. 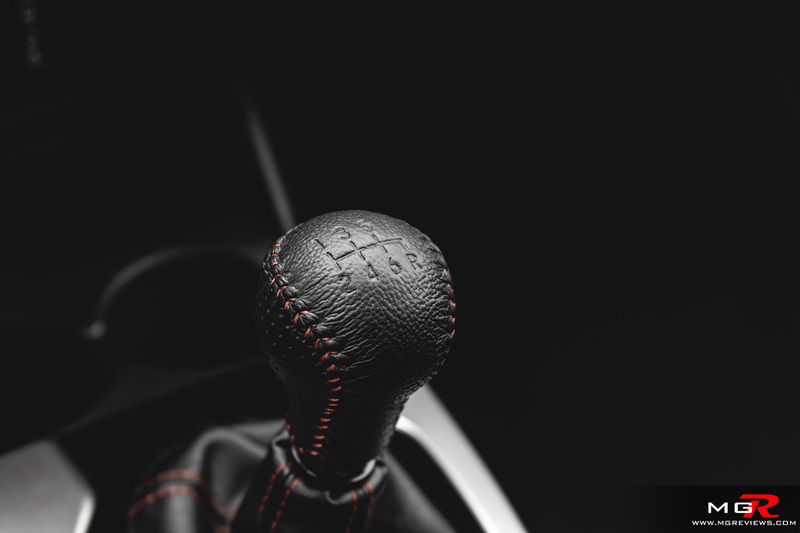 The clutch however has no feel and is hard to determine the bite point. 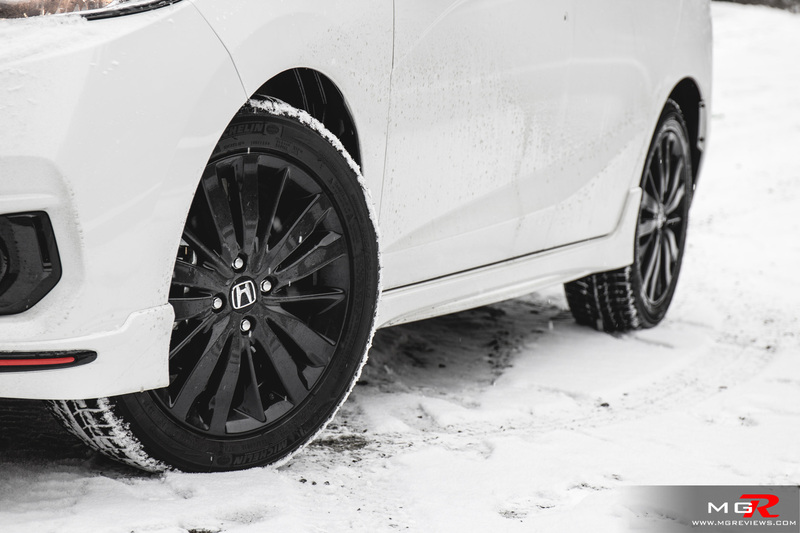 Brakes – The brakes on the Honda Fit are adequate for a little car like this. 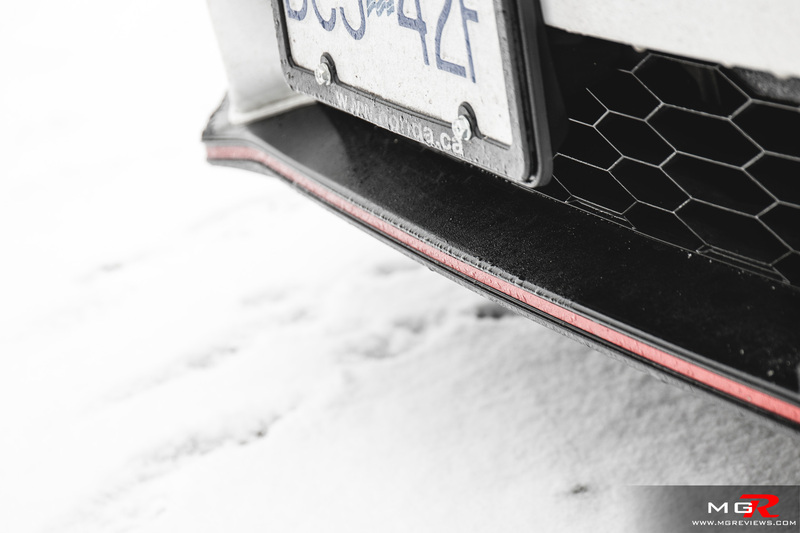 They’re not too sensitive and provide a good amount of braking force to stop the Fit. However because this car has a manual transmission, emergency automatic braking is not a feature on this Honda Fit. If you want that, you have to go for the automatic transmission. Handling – This is where the little Fit gets back some “fun driving points” because once the engine finally gets the car moving, the handling is pretty good. It changes direction quickly and is easy to dart through busy city traffic. 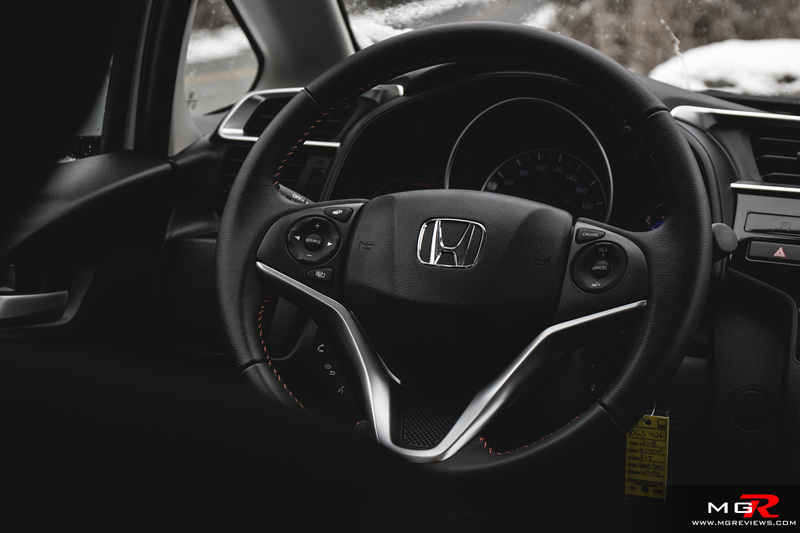 The steering does not provide sports car level of feedback like the Civic Type-R or Si but it is precise and responds quickly to inputs from the driver. Ride Comfort – Usually small hatchbacks have a rougher ride than their sedan counterparts due to their short wheelbase. However the Honda Fit soaks up road bumps fairly well. Granted, bigger potholes can be severely felt but overall the Fit in a comfortable car even on longer journeys. The front seats have a good amount of cushioning and have just enough space for taller drivers. 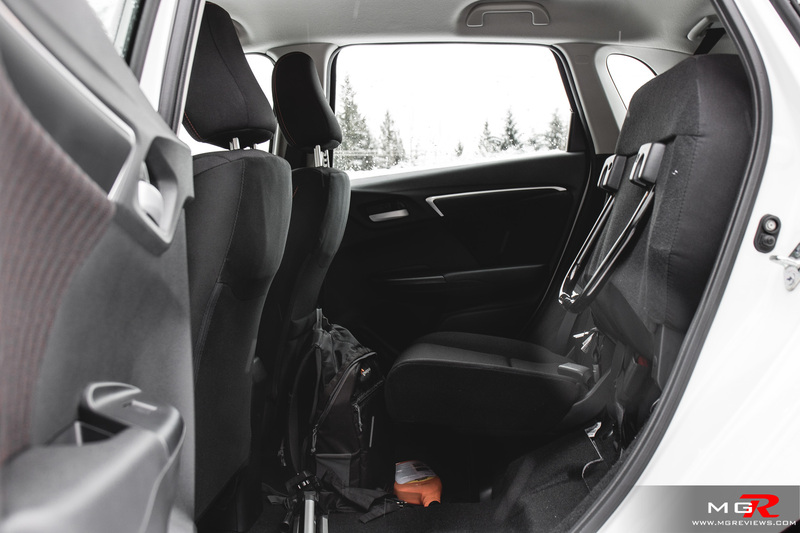 The rear seats are also comfortable to sit in for longer periods but leg room is an issue for adults. 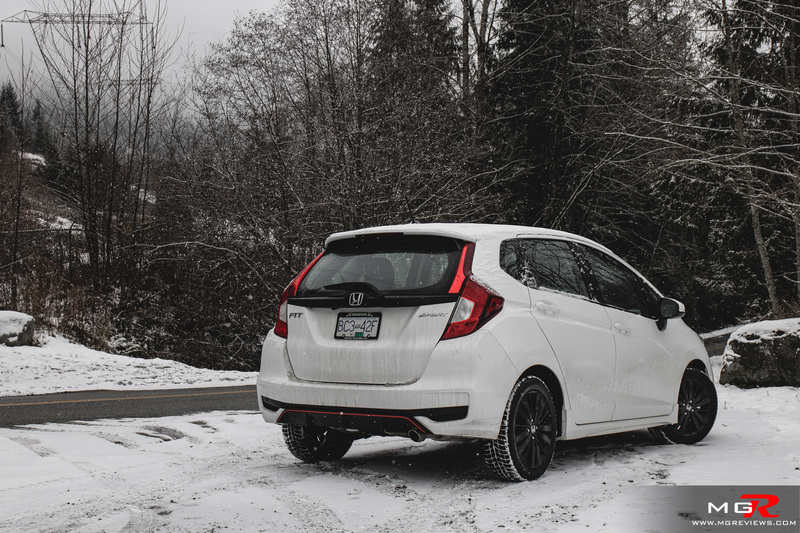 Noise, Vibration, & Harshness – The interior of the Fit is well put together as nothing squeaks or rattles. However quite a lot of engine and wind noise intrude into the cabin on highways. Due to the short ratio gearbox, at highway speeds the engine spins as over 3,000 rpms and the droning noise is noticeable if the radio is not turned up. 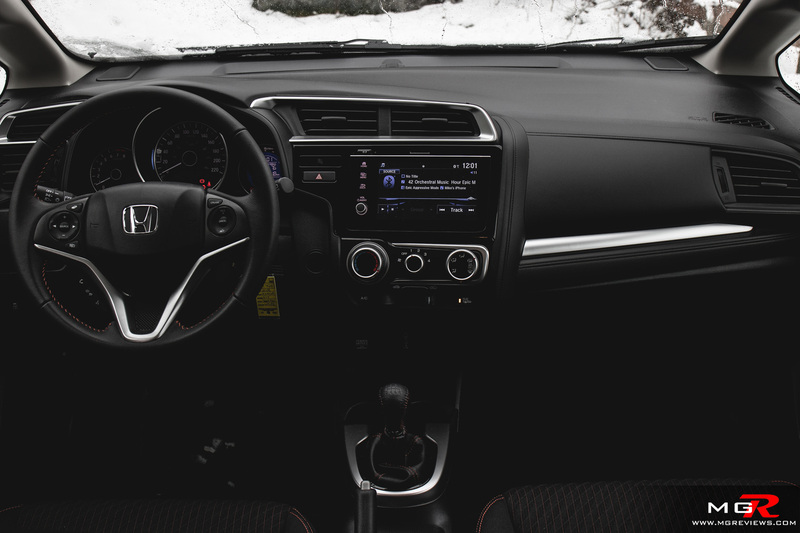 Interior Design – The Fit looks like almost every other Honda vehicle on the inside. It is easy to get use to where all of the controls are and the steering wheel mounted controls for the audio and cruise control add a touch of convenience. 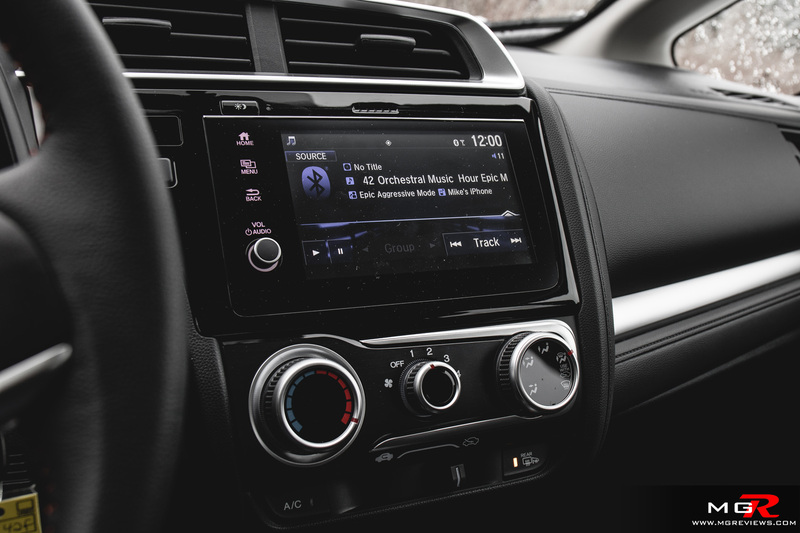 The infotainment system is just like the one found in other current Honda products and best of all, there is a volume knob for the stereo. The Fit also has a unique interior design in the form of how the rear seats can be folded. They can fold flat like in many other hatchbacks or they can be folded up to allow for tall items. Gadgets – Apart from the infotainment system, there aren’t really a whole lot of gadgets on the Honda Fit. You do get Apple CarPlay and Android Auto as well as Bluetooth but that’s about it. 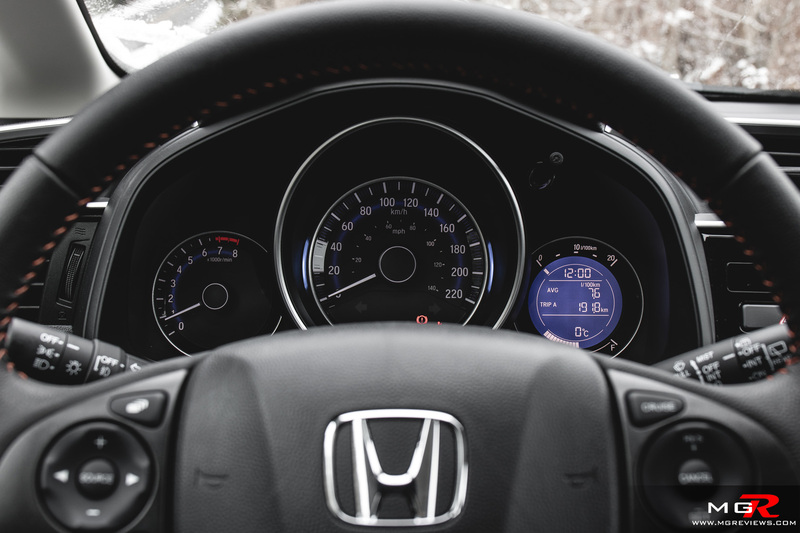 If you opt for the automatic version, then you do get forward collision alert with emergency braking, adaptive cruise control, and lane keeping aid. 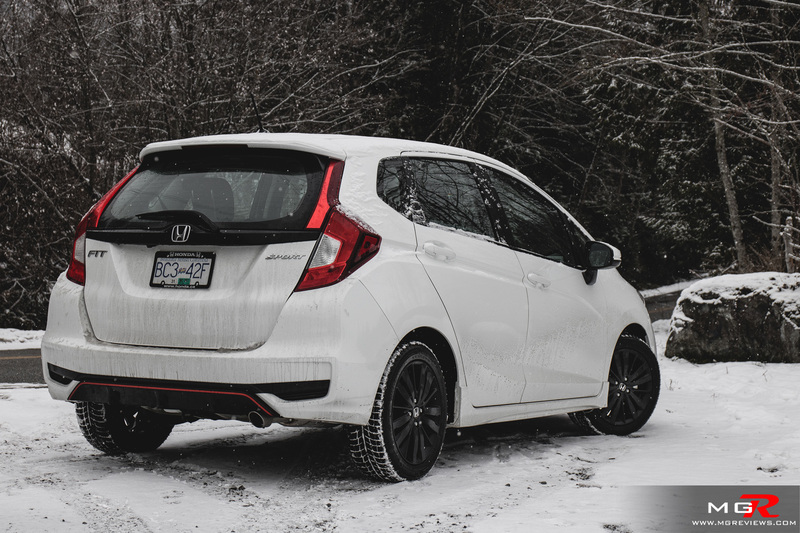 Exterior Design – The Fit Sport has a few sporty inspired design cues such as the red striping on the front and rear bumpers as well as the black wheels. But apart from that the recent overall redesign has a refreshing look that sets it apart from other hatchbacks. 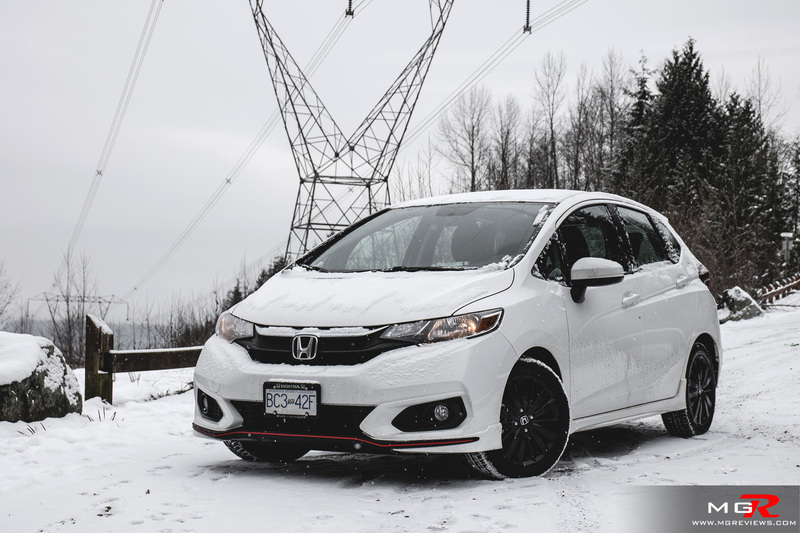 In the end, the Honda Fit is an economical and affordable hatchback for single individuals or those starting a family but are on a budget. 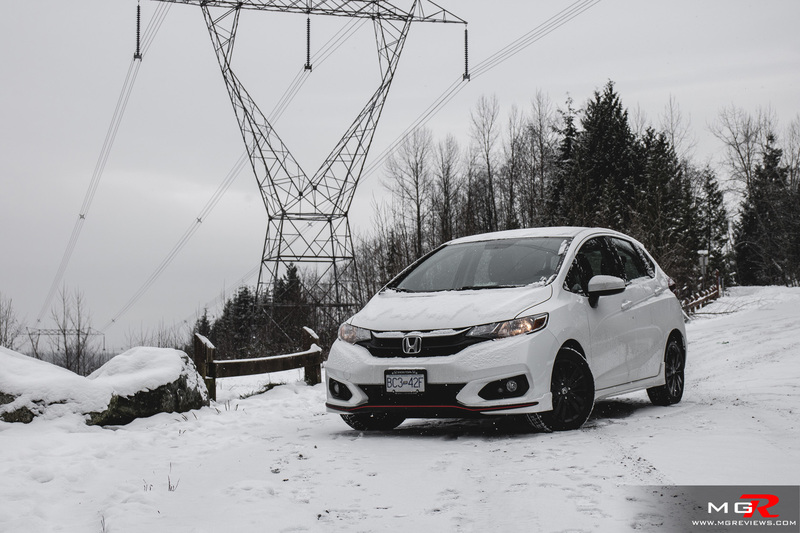 But if you’re the type that is looking for a fun hot hatch, the engine of the 2018 Honda Fit lets it down.